Every now and then I add a bit of character to my caricatures. 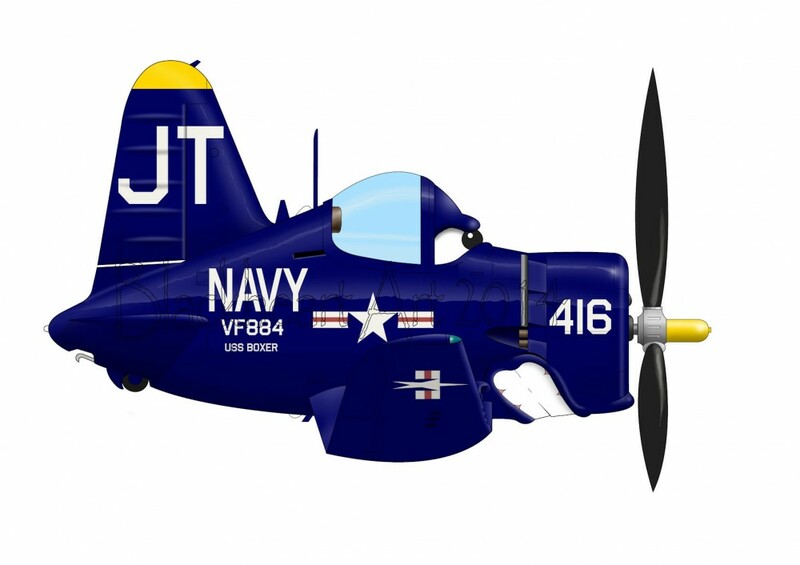 In this case I had a possible client ask about doing a Corsair with more character. This was the result. While the customer like the art work it was not what he was looking for, This has sat on the back burner for some time now. I happen to share it on FB and it seemed to get a lot of likes so here it is the Angry Corsair. If there is enough interest i will see about adding more of these to the collection. 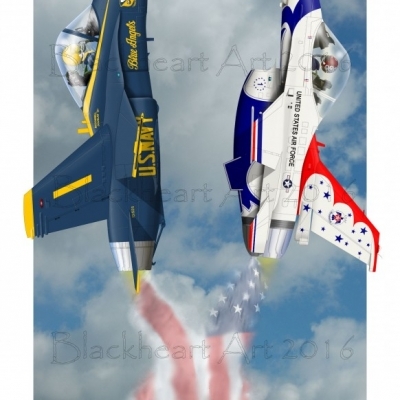 After attending the Planes of Fame air show I was inspired by one of the aircraft that attended the show. 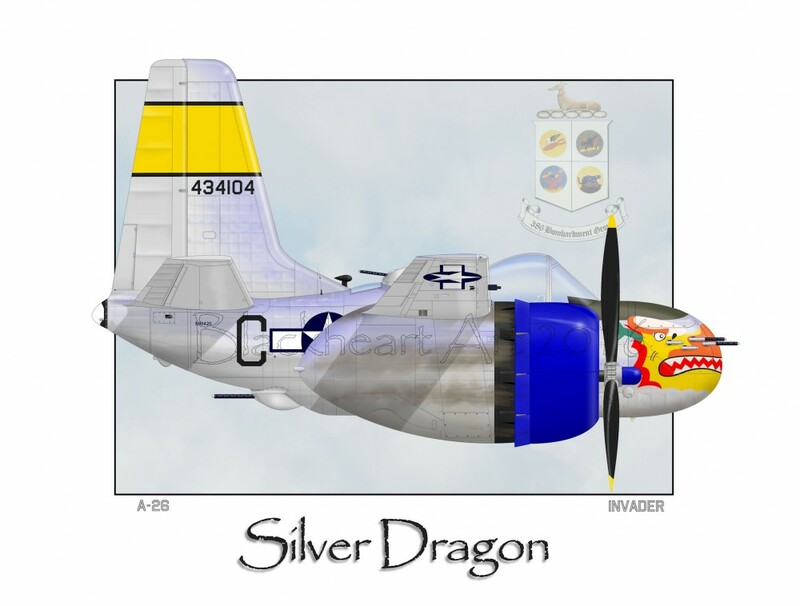 The A-26 Invader, Silver Dragon. 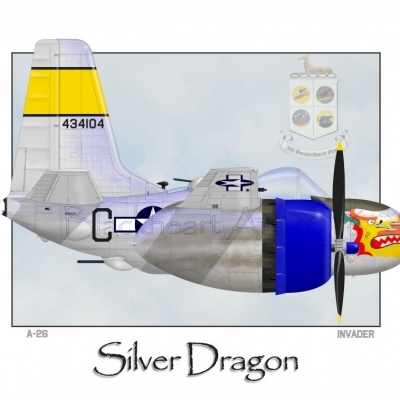 This highly polished warbird is a tribute the men who flew the Invader in combat in WWII. 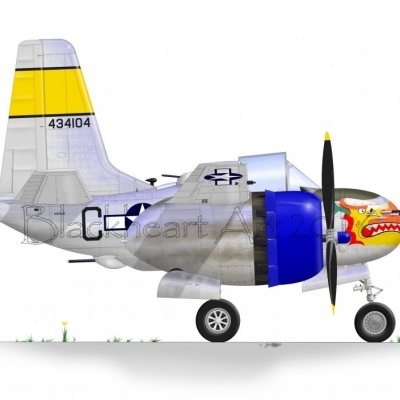 She is painted to represent an aircraft that flew with the 552nd Bomb Squadron with the 386th Bomb Group in Europe. 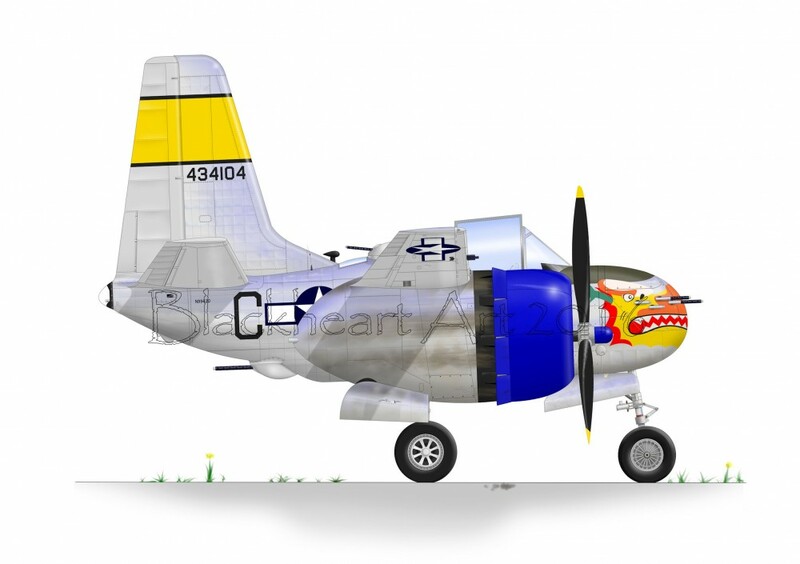 This my first A-26 caricature and hopefully not the last. I am currently working on a gear down version of Silver Dragon. I hope to have that done very soon. This time I added a bit of backgrounds and framing.There is also a second version of the Dragon with gear down. I have only done a few of these with gear down, and look to do a few more. Let me know what you think. 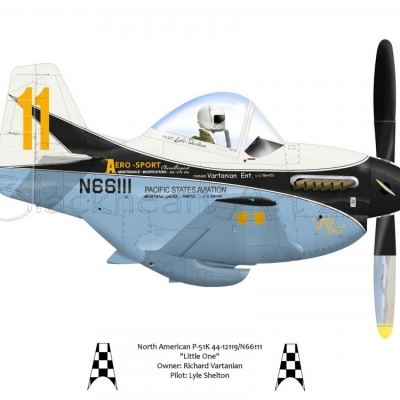 I also just finished and new regular side profile, another P-51D. 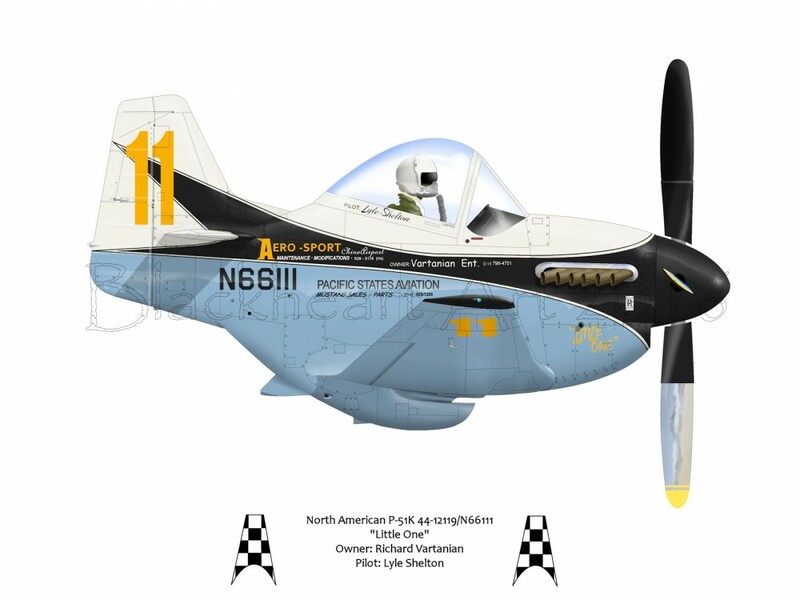 This time the Planes of Fame P-51D Wee Willy II. 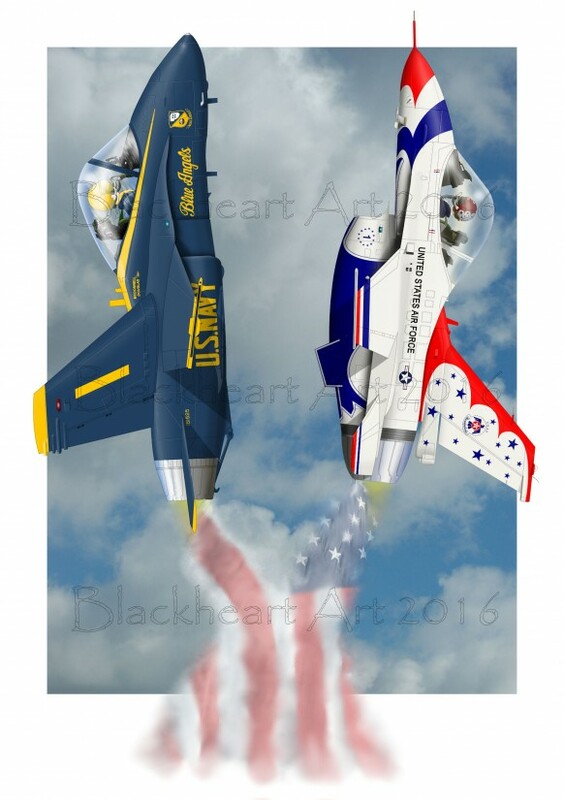 I also have this same aircraft in a caricature version. If you looking for a regular side profile Mustang just send me an email and we can work it up for you. If you want to see more regular side profiles let me know what you would like to see me do next. 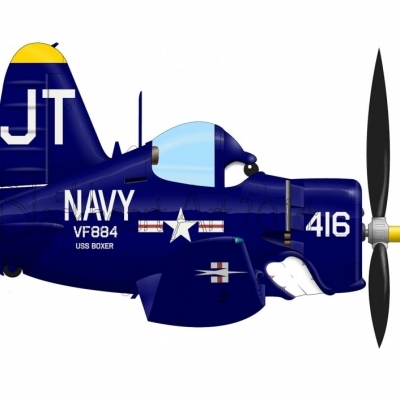 Check out the fighter propeller section to see the new art.